We recently spent 4 days in Scotland. Half of the time was spent in the city and the other half in the Highlands. On our last day, we saw Loch Ness. 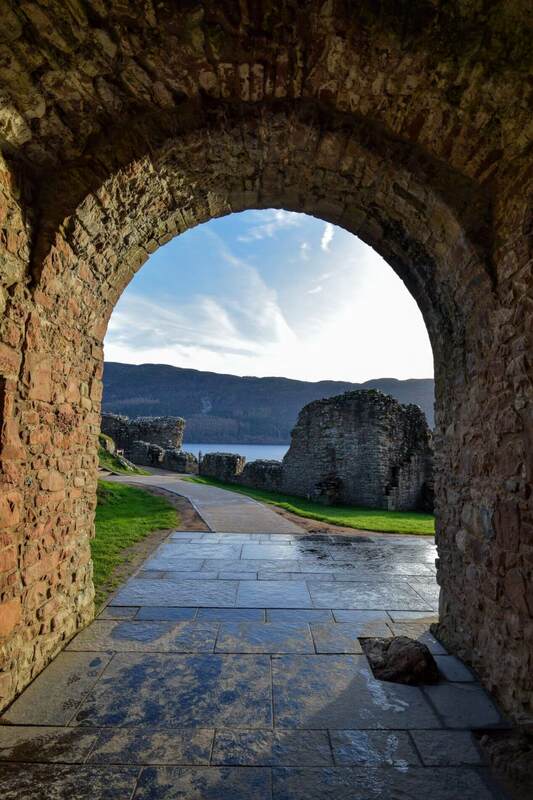 I bet you’re wondering if we spotted the legendary Loch Ness monster, Nessie! “Loch” in the Gaelic language, means “lake”. And there are a ton of lakes over this country, at least 30,000. These lochs are said to be formed by erosion of glaciers during the last ice age. 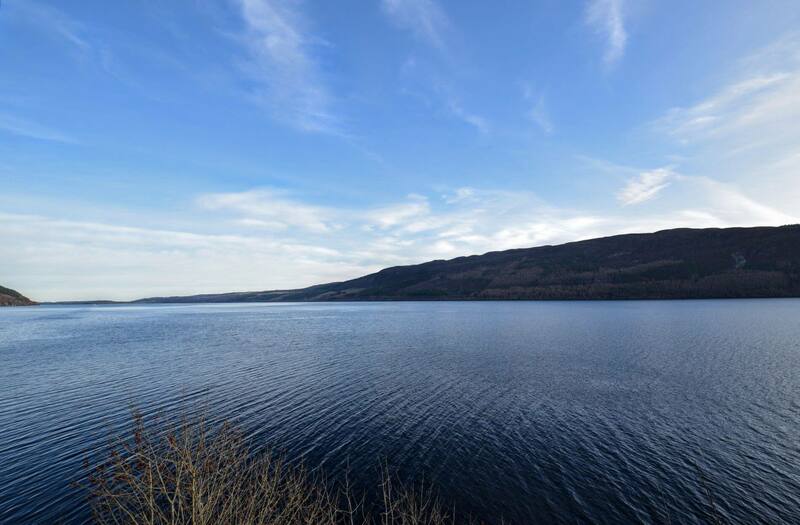 Loch Ness is in the Highlands, about 175 miles north of Edinburgh if you are driving (roughly 3 1/2 hours). At the bottom of the lake lies Fort Augustus, and Inverness sits at the top. Inverness is known as the capital of the Highlands. 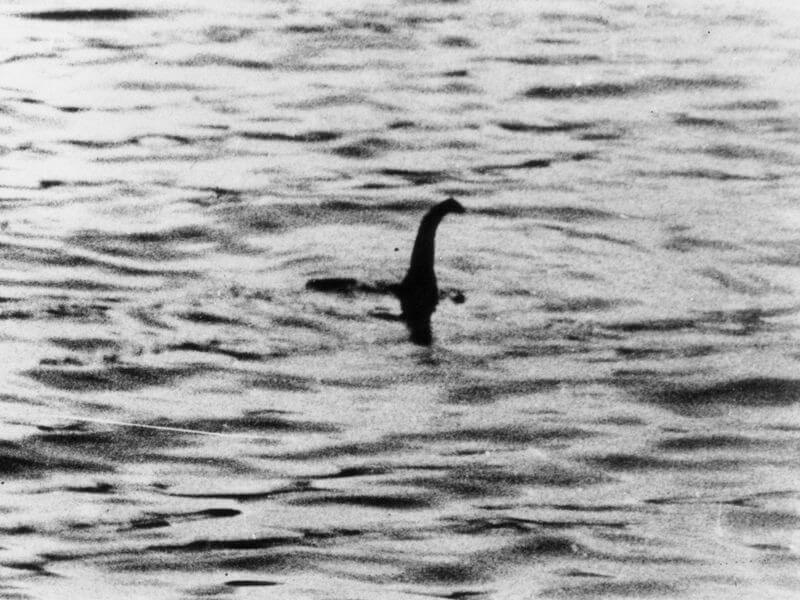 How big is Loch Ness really? Ness is the second largest freshwater loch in Scotland. Most of the lochs are long narrow strips of land locked water. The lake is almost 800 ft deep in places, and plunges down pretty quickly. It’s about 23 miles long, and as you are driving down the west side, the loch views are awesome. What about the monster legend? The British “surgeon’s photograph” from 1934. If you go to the village Drumnadrochit, there is a Loch Ness Exhibition Center that explains all the history. So people are still searching for the monster, just as we did when we went. The long legend has created a huge opportunity for tourism here obviously. 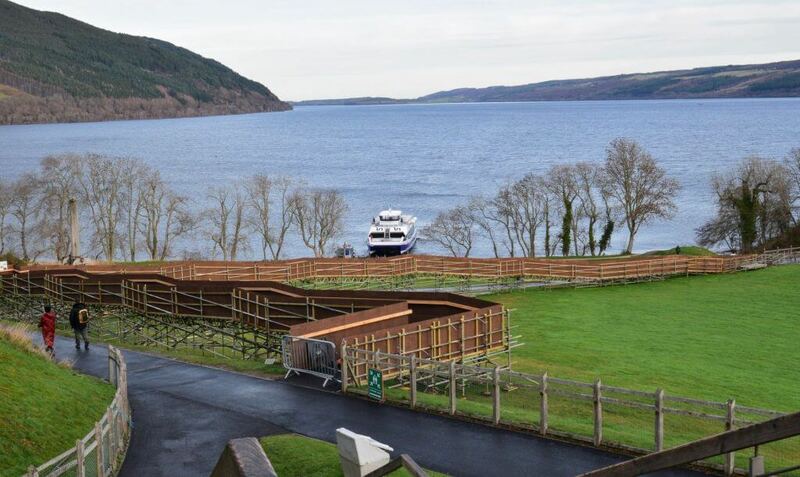 What else is there to do at the Loch Ness? 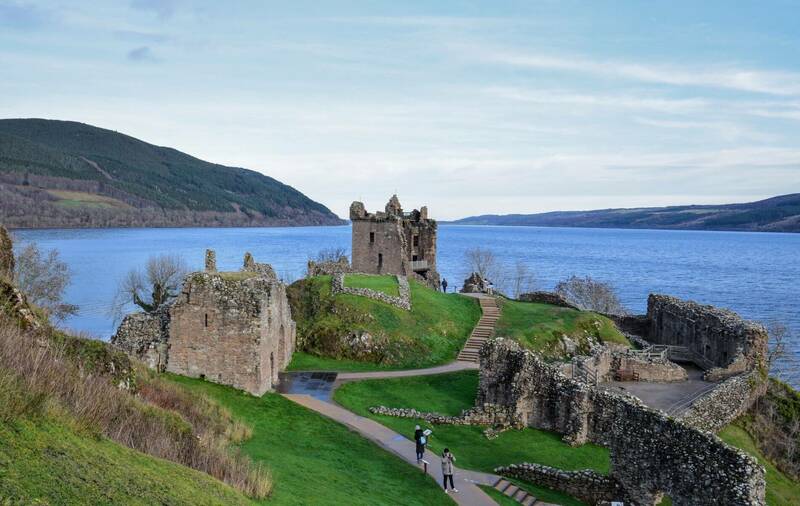 An awesome place to visit is the Urquhart Castle! 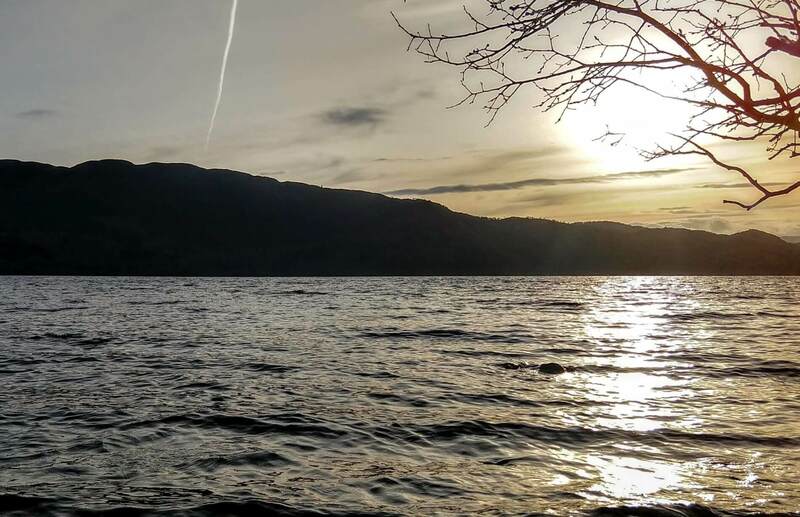 It’s the perfect location for visiting the lake, as it sits right on the shore of it! Urquhart are the ruin remains of a castle with a long history of being overtaken, time and again. Eventually it was blown up, and not rebuilt. It’s one of Scotland’s most visited sights. Tickets are only £9, but we were shocked when we found out we could get half price off our tickets using our English Heritage membership (since we got a full year). But still, £9 would have been worth it. You can walk through the remains, and even up the tower. 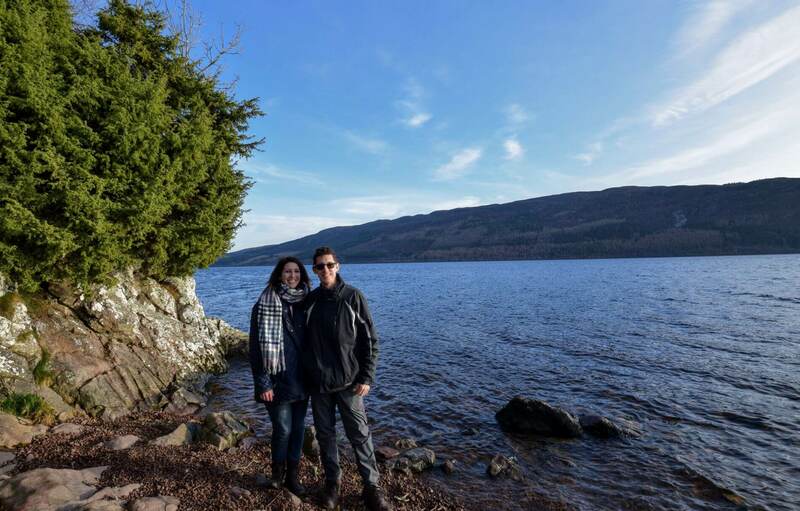 One of the coolest parts was a place to walk down on the pebbles to be able to touch Loch Ness. The visitor center has an 8 minute video about the history of the castle. There’s a cafe to get a bite to eat inside, and a gift shop for all your Scottish cravings. Another thing to do recommended by our Airbnb host was to take a cruise on the loch. We would have done this if we had time, but we got caught up enjoying the castle so much. Different companies leave from a few different points around the loch. They even offer combo tickets for the cruise and castle, so that’s probably the best way to go if you have your heart set on doing both. 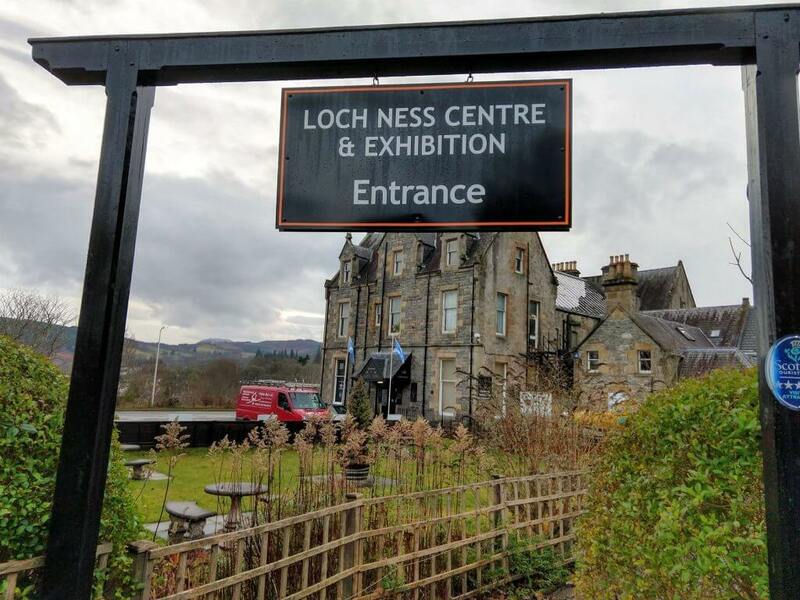 After leaving the castle and doing the cruise, don’t forget the Loch Ness Exhibition Center in Drumnadrochit. Heard this was awesome as well. This makes for a full day just to spend at Loch Ness. Fort Augustus and Inverness are historical places to check out too if you fancy. What you all have been wondering really I suppose. Maybe we did, maybe we didn’t!!! Who can really tell? What does it look like to you? Check out this website that lists all the sightings from today, all the way back to around 500 AD! 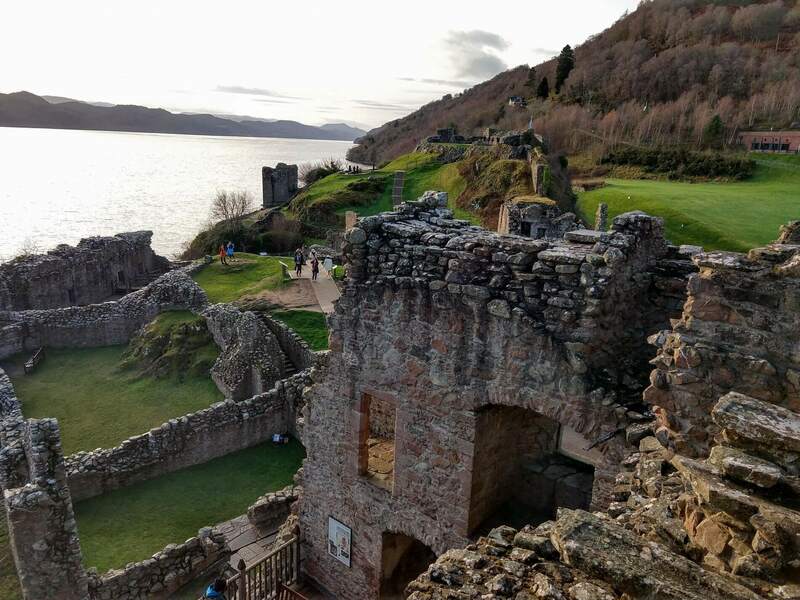 If you visit Scotland, Loch Ness should be on your list! It’s something you hear about growing up. There’s even a roller coaster at a theme park I loved going to as a kid called Loch Ness Monster. It was so cool, just to be there. What do you think of the lake? Would you be keen to visit or even go diving there?? If you have plans for traveling, it’s always a good idea to have travel insurance. Better safe than sorry. Looking for more Scotland inspiration? Check out our other posts! If you are enjoying, say hello to us, or follow us on Facebook or Instagram as well.